It was a sad weekend for Anglophone clubs as their journey in the Cup of Cameroon came to an end after they were eliminated from the Cup of Cameroon by Clubs from the Littoral region. On Saturday, November 4, Victoria United’s dream of reaching the Cup of Cameroon final and possibly winning it came to an end after they were beaten 2-0 by New Stars FC of Douala. After the spectacular defeats of Feutcheu FC of Ndjiko (8th finals) and Racing Bafoussam (1/4 finals), New Stars FC took on the game with a lot of caution to see that they make it to the finals. Although eliminated, Victoria United aka OPOPO made a name as they set a record of being the first team in the Southwest Regional League to reach the semi finals of the Cup of Cameroon. 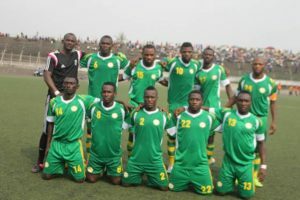 They also equalled the record of Internationale Yaounde FC in 2016 to be the second Regional League team to be eliminated from the prestigious trophy. Many observers hold that complacency was the reason for the elimination of Victoria United. This is due to the fact that of all the four teams left, many had considered New Stars FC as the weakest of all the three Elite One championship teams in the competition. On their part, Yong Sport Academy despite enjoying a back to back win over UMS of Loum, they failed to replicate their hegemony over their opponents as they were beaten 2-0 on Sunday, November 5 in Douala. The defeat suffered by both clubs, puts an end to the wishes of some Cameroonians to see two Anglophone clubs playing the Cup of Cameroon final for the first time. With the elimination of Victoria United earlier, some observers kept their fingers crossed so as to see a team from the English speaking part of the country taking on a team from the French speaking part of the country. This, they hoped will greatly calm down tension in the country that has recently been going on for over a year since the Anglophone crisis started. While some school of thought prayed for the final to have clubs from these two parts of the country to show that Cameroon is one and indivisible, others had prayed for the elimination of these Anglophone clubs. Whatever is the case, YOSA and Victoria United, put on a great performance even though they failed to make it to the finals.